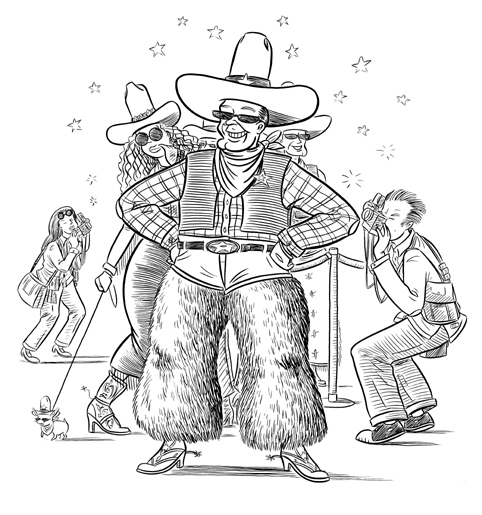 An illustration from Words of a Feather, by Murray Suid, published in 2006 by McGraw-Hill. India ink on paper. Art area is approx. 8 1/2" x 11". NOTE: This is a great, amusing book on word origins, highly recommended!